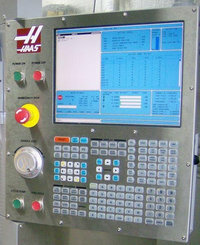 This parameter enables G199 (SYNCHRONOUS SPINDLE CONTROL) on a lathe. When non-zero the parameter is used to select a method of control. This parameter should be set to 2 to enable a synchronous control spindle. This should be enabled only on models certified with synchronous spindle capability. The default value is 0 indicating G199 is disabled.